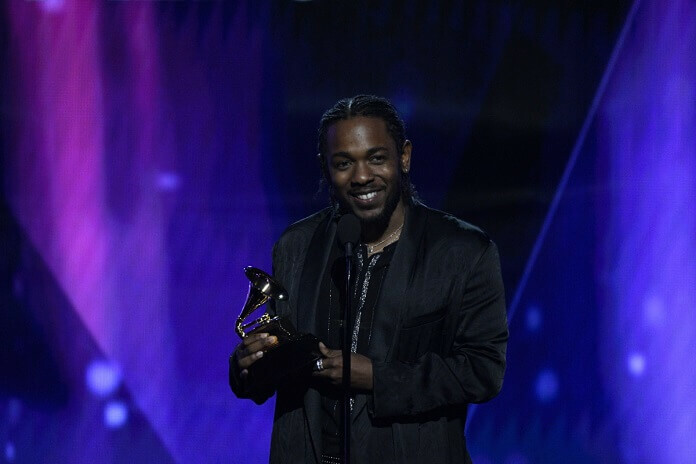 Kendrick Lamar tops the list of the 61st Annual Grammy Awards nominees with eight and Drake follows close behind with seven. The 2019 Grammys also recognized Brandi Carlile with six nominations and Childish Gambino, H.E.R., Maren Morris, and Lady Gaga with five. The 2019 Grammy Awards will be held on Sunday, February 10 at the Staples Center in Los Angeles. The show will be broadcast live on CBS beginning at 8pm ET/5pm PT. Next year’s Grammy Awards will mark the first year the Recording Academy increased the nominee slots in key categories. The Record of the Year, Album of the Year, Song of the Year, and Best New Artist will now recognize eight nominees rather than the traditional five in these selected categories. The Recording Academy’s 2019 Grammy nominees represent the best in music during the October 1, 2017 through September 30, 2018 period. 21,000 submissions were eligible in the Grammy’s 84 categories. The complete list is available at grammy.com.